That most-relaxing of spa treatments, a facial, is second only to full-body massage in its popularity. The procedure is more than an exfoliation, a deep-cleansing, and an extraction. It is the chance to have your face professionally pampered. The facial Edgewater and Hoboken women and men are raving about does so much to achieve an inner peace and state of total serenity. The attention and care given to you and your face during the facial experience help to make this a reality. In fact, the incredible herbal extracts, gentle exfoliants, and invigorating face massage that are also part of the experience will seem like wonderful bonuses. Wait! There is a science behind Facials? How is that so? The largest organ of the human body, the skin is a breathable structure. Clogged pores and unhealthy skin make it difficult to breathe and function. A facial nourishes the skin in a way that no other treatment can do. Results include skin that is cleansed deep down to the pores, clear of black and white heads, and well-hydrated. The experience begins with a gentle cleansing using medical-grade cosmeceutical products from GlyMed and ProCyte appropriate to your skin’s type, sensitivity, and maturity. Next, your esthetician will examine your facial skin through a brightly lit magnifying glass. This will tell your skin professional a lot about your skin’s current condition and type. Next, she will use what she has learned about your skin to select a medical-grade exfoliant – either mechanical or chemical. She may gently direct steam at your face or provide soothing steam towels for your use. The entire experience is blissfully relaxing and reminds you that taking care of yourself properly is of utmost importance to your health and well-being. So why go to Edgewater MedSpa for a Facial? When you resume your life’s activities, whether they be picking the kids up from school or preparing for a grand party, you will do so with a sense of renewed vigor. Spending the time to pamper yourself with a facial is exactly what active New Jersey women and men need to bring back the smiles, laughter, and joie de vivre that can sometimes get lost in a hectic lifestyle. 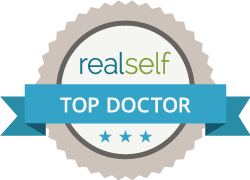 Best of all, at Edgewater and Hoboken Cosmetic & Laser Centers, patients know they can count on medical director Dr. T.G. Khan, whose extensive education and training in both surgical and non-surgical cosmetic procedures ensures that no matter whether they need a relaxing, medical-grade facial or a more comprehensive procedure, Dr. T.G. Khan will be able to advise them expertly and intelligently and perform any necessary work in a timely and caring manner. Call Edgewater and Hoboken Cosmetic & Laser Centers today at 201.313.8899 to set up an initial consultation.